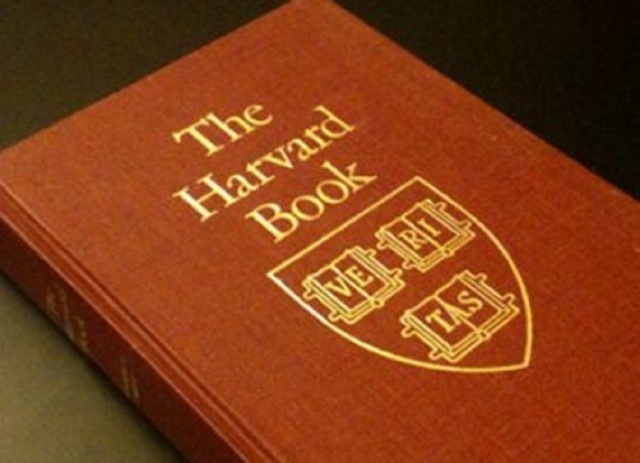 Introduce talented young people to the opportunities available at Harvard, and recognize their scholastic and personal achievements through the Harvard Prize Book program. Prize Books are presented annually in more than 1,900 high schools around the world to outstanding students in the next-to-graduating class who demonstrate excellence in scholarship and achievement in other nonacademic areas. The award is often given at the school’s graduating exercises, with appropriate remarks by a local alumnus/a. The Prize Book may also be awarded to outstanding high school teachers who inspire curiosity and excellence in their students. The Prize Book Program is made possible by the generous support of alums like you. Support this invaluable program by making your gift today. Many companies match donations. Examples of companies that do have matching gift programs are Microsoft and Boeing. Please search for the following information in your company's matching gift programs when making a donation to the Harvard Club of Seattle. Thank you for your support.